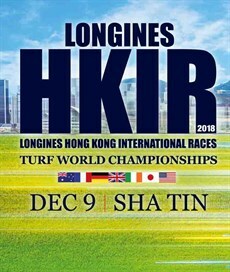 Well the Longines Hong Kong International races are fast approaching – the Longines International Jockeys Challenge is on Wednesday 5 December with the massive day of Longines Hong Kong International Races set down for Sunday 9 December. Guess what – WINNO has got a call up to attend the Longines International Races on both days. He will be representing HORSERACINGONLY at both meetings and throughout the International Races week.. I have been to this Carnival as a spectator on several occasions. However, I have never attended in an official capacity. I must thank the Hong Kong Jockey Club for the opportunity to attend this prestigious Carnival. 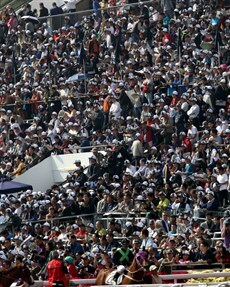 These two days of racing are the pinnacle of the Hong Kong Racing season. I must say that every time I have attended as a spectator you leave the track feeling like you have been treated like a VIP. The amenities are first class – the racing world class – and the jockeys and trainers world class. So – the bags are being packed. The passport loaded in the back pocket and I will be heading to the airport next week to board the plane and head to Hong Kong. I look forward to bringing you all the news and any other information I can provide. And one last word. IF you have never attended these races and IF you want a holiday or want to treat yourself to a wonderful experience, I would suggest that you place the dates in your calendar for December 2019 and get along to one of the most prestigious, featured sporting events in the World. That is all for now – I'll talk to you soon from Hong Kong.